Ortofon Anniversary Book is specially published for the company's loyal customers all over the world to partake in Ortofon's pride of celebrating its many achievements throughout its long history as they reach their 100th birthday, a milestone which very few companies survive long enough to celebrate,. 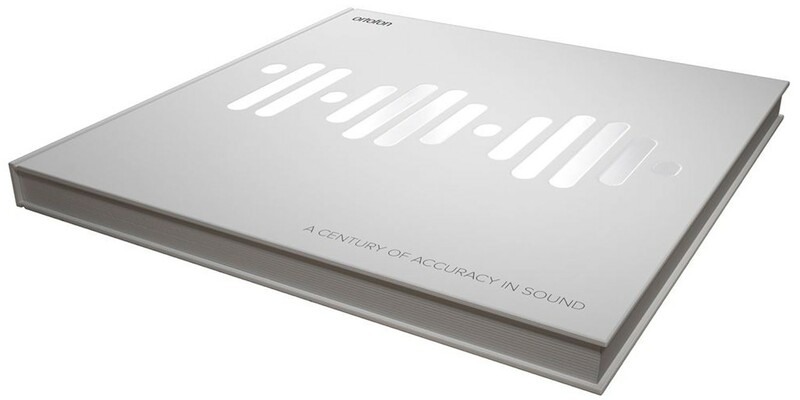 This book reveals the remarkable history of a company that for 100 years has always been in the business of acoustics. Indeed, for that timespan, Denmark itself, has been recognised as the land of acoustics, with many companies designing innovative products. The country retains that reputation today. Ortofon has played a significant role in creating a rich heritage for Danish acoustics. Ortofon believe that enviable legacy is best protected and continued by the development of exciting new products and keeping Ortofon viable for the future. As you will discover in the book, the list of Ortofon’s famous and groundbreaking products is a long one. Music historian Kevin Howlett has written this history of 100 years of Ortofon based on a firm foundation of exhaustive research in various archives and in-depth interviews with past and present employees from the 1970s until now. Many friends and colleagues have given their time so generously to contribute to this book.